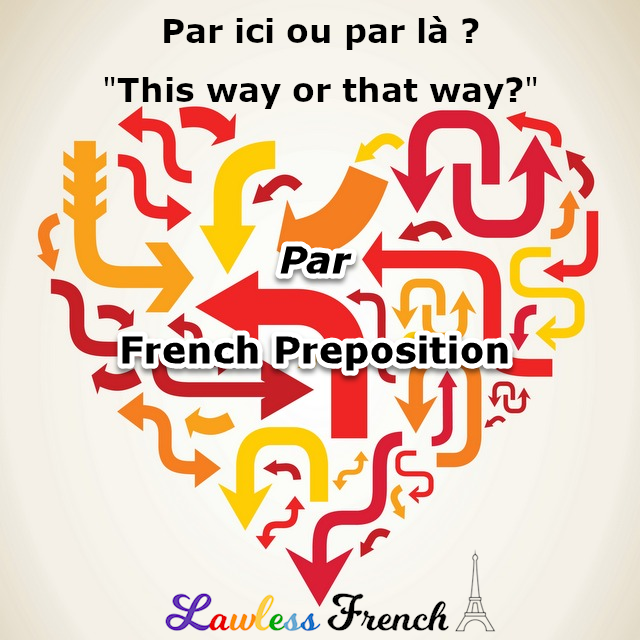 The preposition par generally means "by," "through," or "per." Some verbs must be followed by par in front of a noun or infinitive. Par is usually followed directly by a noun, with no article in between. Learn more: Prepositions with nouns.